Mead is a drink that has always had a mystical allure for me. It can be directly tied to the land and air of the place it is made. Much like the terroir found in wine, one can trace the roots of mead back to a direct place where natures true work horses, bees, live and produce their sweet and magical honey. That honey has a intimate connection to the area in which the bees live and feed, which is reflected in the flavor and aroma. 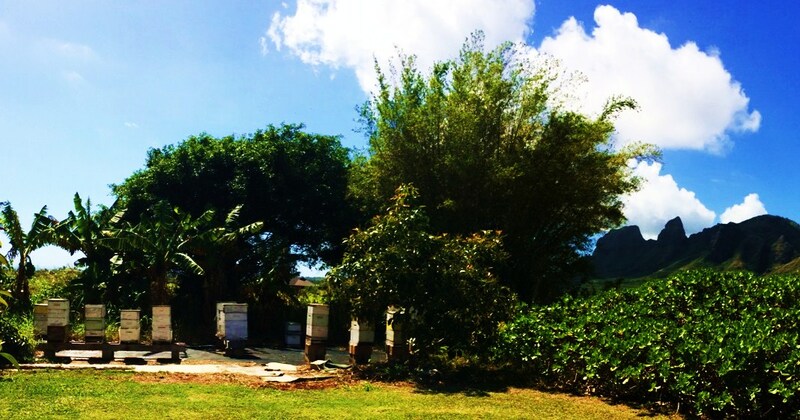 When you taste honey made in Hawaii, you are tasting the land and flora of that particular area. Hawaii’s incredibly diverse natural ecosystem provides bees with dozens of different plants to feed and pollinate, creating a wonderful array of different types of honeys. It seems only natural that someone would take advantage of this abundant natural resource to make mead. 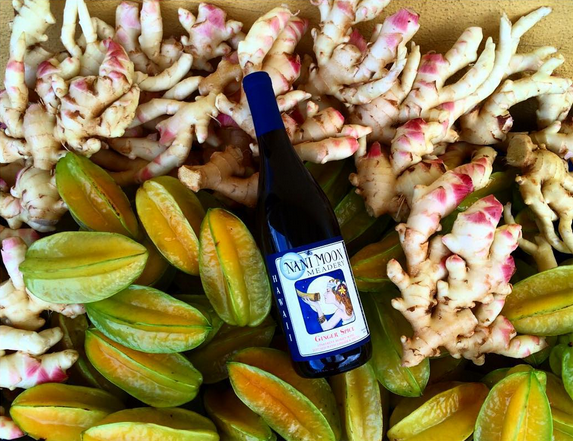 Tucked away, in a sleepy corner of Kauai, is Nani Moon Meadery, Hawaii’s only meadery. There Stephanie Krieger has been quietly brewing up batches of mead for almost 10 years, sourcing local honey and fruits. Mead is one of Hawaii’s truly local beverages. 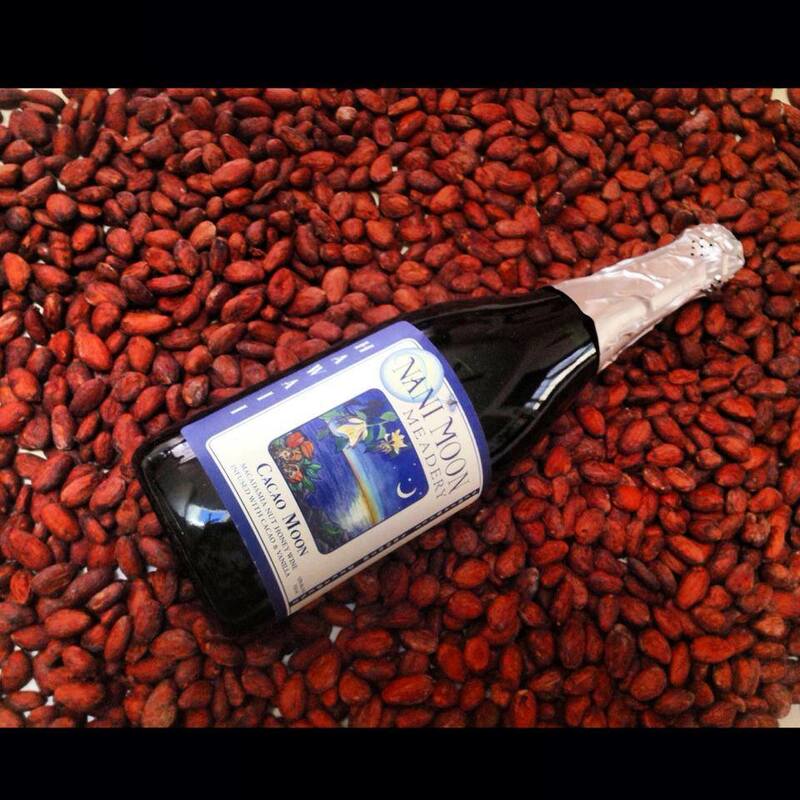 Unlike beer, where water is primarily the only local ingredient, mead can be made with products that are all grown and produced in Hawaii. It’s amazing to see the chain effect of using local ingredients – from the bottle, to the brewer, to the farmer and all the way down to the health of the land and watershed. I was born and raised in Philadelphia and attended undergraduate at University of Miami for marine science/biology & chemistry. I moved to Kauai after college in 1997. My education lead me to a focus on sustainable land use and how we can incorporate local agriculture into our economy. The idea of making mead came to me during the fall of the sugarcane industry on Kauai in 1999. Again, I was focused on sustainable agricultural pathways and saw how honey and the mere presence of bees supported sustainable diversified agriculture here in Hawaii. I also noticed that by collecting honey from areas with a high percentage of native plants gave those areas economic value just by existing . I actually never had mead before, just knew it existed as an alcoholic beverage made from honey, and I thought it would be a great way to support and highlight our islands beekeepers and farmers. Was anyone else making mead on Kauai back then? Not that I know of. I was a self learner. I had a few friends at the time who opened a brewery, that eventually closed, but that’s about it. I didn’t want to wait around for anyone to ‘decide’ they wanted to make mead. I just started doing it. Who were your mentors when you started? I was not a mead drinker or knew of anyone making mead. At the time I was a server and bartender and learned from several of my managers about wine appreciation, profiling, food pairing. I used what I learned in the wine industry to create the profiles in our meads. That is probably why they are so different – because I created them with an unbiased pallet with only local ingredients. Many of the chefs and servers at the restaurants where I worked supported my project and enjoyed tasting my meads and providing constructive feedback for improvement. Did you always plan on turning mead making into a business? Yes, from the beginning! I mean, why not? We all preach about creating a sustainable lifestyle. My philosophy is it takes one person at a time to make a difference. It was a gift that somehow came to me and I’ve pursued it with passion since conception. Back when I was making mead in my Kapahi garage, we would pull the night shift – making, racking, bottling after hours and late night drinking and celebration that followed. I still have friends who remember those days – all nostalgic great times! It took years to create a viable business plan and find a location that worked as a Meadery and also retail store front. In the alcohol biz there are a lot of loopholes and regulations. It’s not easy to find the perfect spot. Where do you source your honey from? So I knew this old dog beekeeper, Oliver, that used to frequent the first cafe I worked in when I moved to Kauai. I started buying honey from him by the gallon for my meads. The property I lived on had a ton of citrus and other fruits which I used in my first batches. I had a friend of mine who lived on the same property who I suggested he start working with Oliver as a beekeeper. I said one day he could be the beekeeper for the business. And today he is. He manages and cares for our 40 hives. Real mellow guy – doesn’t like the highlight so I’m keeping him nameless! Do you try to source everything locally? At this time all of our fruit is sourced on Kauai. We know all of our farmers on a first name basis. We shake hands every time they make a delivery – and sometimes share a glass of mead! All fermentables are 100% locally sourced. Yeast, and packaging come from California. At this time we are recycling and reusing about 10% of our bottle stock and offer great rebates for rinsed, returned bottles to the Meadery. Have you ever tried cultivating your own house/local yeast? We obtain several types of white wine yeast from a wine lab in California. I’ve just started working with repitched yeast in some of my small batches. I also use a mead yeast in some of my small batches. Honestly, EVERYTHING likes to live in Hawaii. including microbes. So I’m not really jumping on the train to develop my own yeast strains. All of our small batch productions using re pitched and mead yeasts can be found exclusively in our tasting room. What are your core mead flavors? I’ve created a collection that hits many flavor profiles. The design is to create a profile for everyone. It’s like when a guest reads through a wine and beer list at a restaurant – some like dry wines, others like deep reds, some like a pilsner and other s like a hoppy IPA. Our meads range from dry fruit forward to semi sweet and spiced. Our most abundant fruits we use are pineapple, star fruit, lilikoi and mountain apple. All of our meads fall into the 12-14% ABV range and are gluten free. What’s your process for creating new varieties? Just like the beginning stages, our new varieties come from 5 gallon batch experimentations. It takes a minimum of 3 months to have a mead ready to bottle and drink so the process can take several years. New varieties also take tank space and require labeling so they are introduced only if we are passionate that they will make a lasting impression to the community and the business. We are always experimenting and are now including our small batch offerings directly out of the Meadery. Are there many female mead makers? Hmmm.. So far I’ve found that mead making is a growing, but male dominated industry. Maybe I should grow a beard! Haha! But really one of my first influences in the craft beer world was a woman named Carol Stoudt, Stoudts Brewery in PA. I met her at a restaurant I worked at in Philadelphia during one of my college breaks in the 90s. I bought so much of her beer. I think it’s what started my bottle cap collection which now numbers in the 100’s – no duplicates. For someone who’s never had a mead before, what should they try first? Well the Cacao Moon is the top seller – and available statewide. Craft beer drinkers also love the Ginger Spice. We are now introducing Deviant Beehavior statewide – which is crafted from raw honey, Hawaiian chili pepper and pineapple. 100% Kauai sourced. It had developed a cult like following on Kauai so we have decided to boost production and release it throughout the chain. If you’re not drinking mead, what’s your go to local beer? In any given bar, my first choice is Kona Brewing’s Firerock on tap. 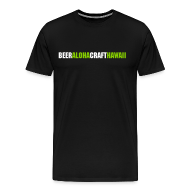 I know some local brewers give Kona Brewing heat for expanding their operations to the mainland, but I wholeheartedly love Mattson Davis and what he has done to put Hawaii on the map for craft brewing. By brewing closer to the source of raw materials and packaging, Kona Brewing is reducing the overall ecological footprint of brewing. I also really love some of the Maui Brewing selections too. I’m a major fan of Black and Tans. It’s a standard I go by when I enter a brewpub or brewery. 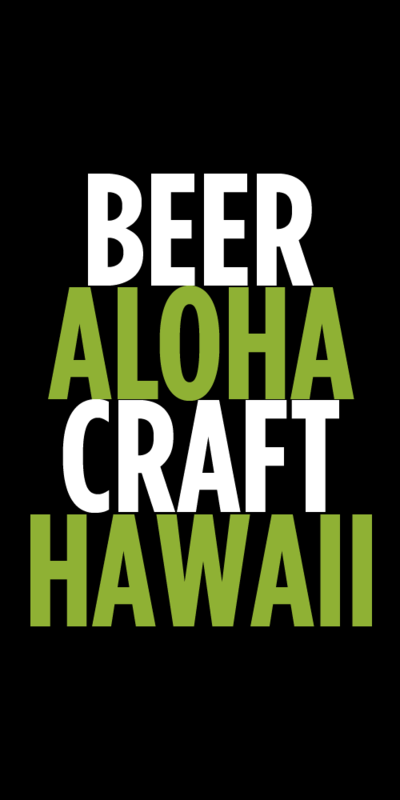 So please let me know which breweries here in Hawaii can pour me a Hawaiian Black and Tan and I’ll be there! 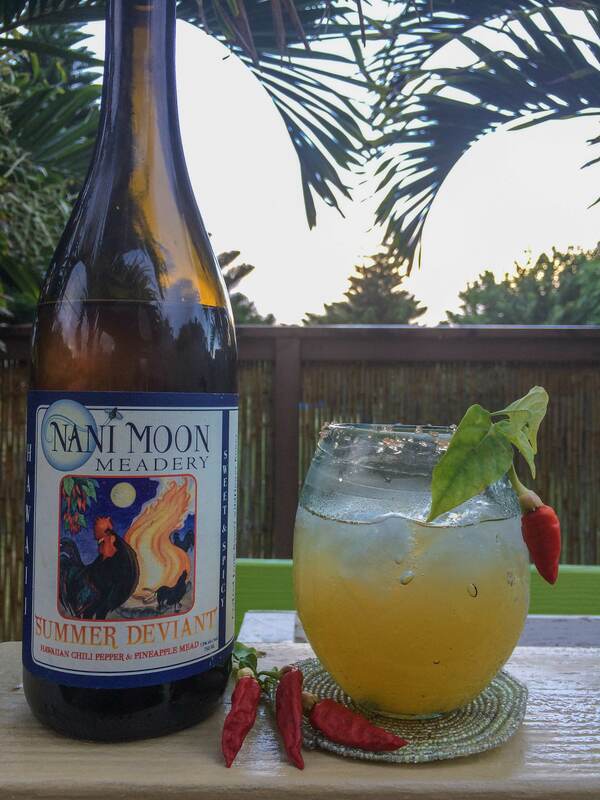 Tags: Interview, Mead, Nani Moon Meadery, Stephanie Krieger. Bookmark the permalink.